Medical aid savings is a component of a number of medical aid options in South Africa. It is a percentage of your annual scheme contribution held in a separate account, and used to pay for day to day medical expenses. According to the Medical Schemes Act, the percentage of the annual fees allocated to medical savings can't exceed 25%. Funds in your medical savings account (MSA) are available in advance at the beginning of each calendar year. They are set aside to cover out-of-hospital expenses incurred by you, the main member, and your dependents. You're not allowed to use your medical savings to pay for anything else, including co-payments. Also, once depleted, your savings account can't be topped up. Use the savings indiscriminately, and you can run out of funds until the fixed balance is reset in the following year. If your medical savings account has a positive balance at the end of the 12 months, it is rolled over to the next calendar year. What is covered when savings run out? 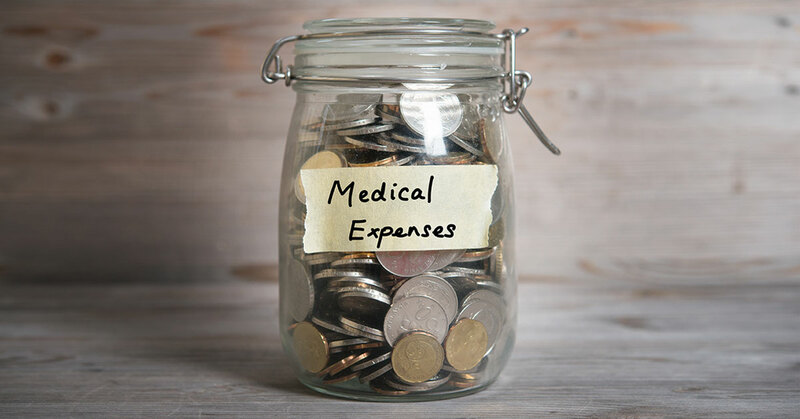 As most medical aid plans with savings are comprehensive options or hospital plans with savings, any expenses associated with treatment and/or procedures conducted in hospital are always covered, whether your savings account has a positive or negative balance. Any day-to-day benefits with defined sub-limits that aren't subject to the available funds in your medical savings account are also paid by the scheme. You’ll be covered up to the specified limit, notwithstanding the status of your savings. Prescribed Minimum Benefit (PMB) conditions, as outlined in the Medical Schemes Act, are covered in full at all times, and on all options. Chronic medication is paid from the chronic benefit and is not affected by the health of your savings account. What happens when savings are depleted? When you do run out of savings, you enter the so-called self-payment gap, a period in which you'll have to pay for day to day expenses out of your own pocket. If you’re a member of a top tier medical aid plan, there may be a lifeline. Some schemes offer subscribers of more expensive options an extra layer of cover. Discovery Health, for instance, has designed a ‘safety net’, known as the Above Threshold Benefit (ATB). The benefit kicks in once the collective total of all your day to day claims in a calendar year is more than a scheme-defined amount, known as the Annual Threshold. Thereafter, claims are paid from the ATB, whether your savings account is in positive or negative territory. There are also day-to-day benefits that aren't paid from your MSA. Although this does vary from scheme to scheme and option to option, benefits that fall under the option’s overall annual limit aren't deducted from savings. At IFC, we have all the facts and figures of the top medical aid schemes in South Africa available on demand. Contact us and we’ll find the best medical aid with savings for your needs, based on your healthcare requirements and budget.